The Veggie U Food and Wine Celebration is back this year, but with some new twists. For 10 years, the event was held outdoors on The Chef's Garden farm in Milan. The recreated event will be held in downtown Cleveland at the Hospitality Management Center of Tri-C and Pura Vida spaces on Public Square, and will focus on local culinary talent expressing themselves through the flavors of international cuisines. 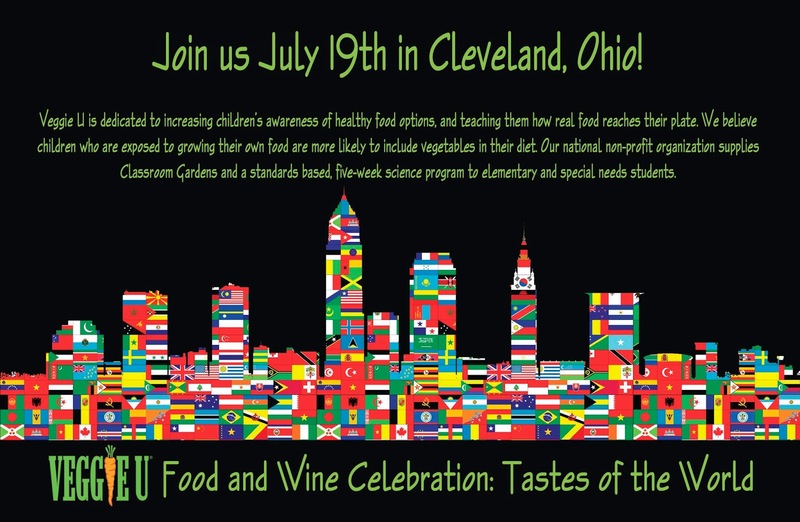 The Veggie U Food and Wine Celebration (#VUFoodWine2014) will be held July 19, 2014, from 7:00 pm – 10:30 pm. The fundraiser benefits Veggie U, a non-profit children's education program that teaches the importance of nutrition and sustainable agriculture by providing interactive lesson plans and a classroom garden to elementary and special needs students. The event's theme "Tastes of the World" will give each of the twelve+ guest chefs at the tasting stations a chance to use their culinary skills to transport guests to their favorite locales or to a region and cuisine style they might not otherwise get to experience. Wine pairings from the best grape growing regions of the world will compliment the dishes, while lively music from Don Disantis will entertain the guests. A wine pull and silent auction will round off the evening, while providing further opportunities to donate to the Veggie U cause. Tickets are $150 per person. To purchase tickets and learn more about the event, visit www.VeggieUFoodandWine2014.Eventbrite.com or call 419.499.7500. You can also enter their Facebook contest for a chance to win two free tickets. Visit the contest page here, or email your First Name, Last Name, and email address to Ask[at]VeggieU[dot]org with the subject line "Veggie U Food & Wine Ticket Contest Entry". Enter by July 14, 2014. This was a great event when it was out on the farm (although a little sweaty in the summer heat), so I'm excited to see the changes that they've made to the event. I look forward to attending. Great chef lineup, more convenient location, and a wonderful cause. * Final chef lineup still being confirmed. 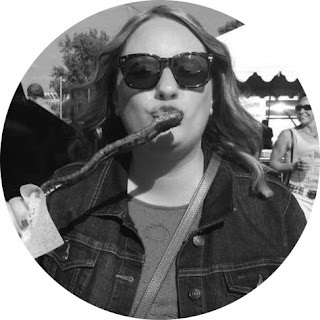 Disclosure: I was provided with two media passes in exchange for this blog post. All opinions are 100% my own. Looking forward to it. I hope to see you there!